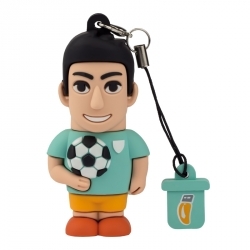 The ProfessionalUsb® Football player USB Pen Drive and Keychain! 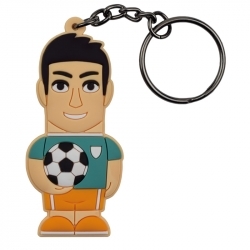 Discover the Football player USB pendrive and Keyring dedicated to all passionate footballers, to those who never miss a match and to every true supporter. The “Football player” will enrich and personalize each gift with originality, just to leave nothing to chance. Let it catch you by its colors and details and impress those who love you in a unique way.